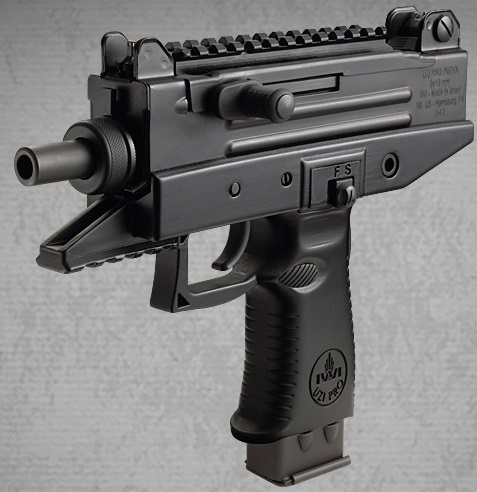 First of all, the Uzi Pro Pistol is making a triumphant return in Q1 of 2015, as confirmed by the Aftermath Gun Club. There will be versions with and without the arm brace. Alas, no carbine or SBR version announced thus far. I’m hoping for a unmodified Uzi mag lower option later on, but am prepared to be disappointed. Hard to fault IWI-US for going with Colt mags in the US market, of course. MSRP is $1100; street should be ~$900. Notice how the 5X line has real modifications for the US market. There’s no 12″ barrel variant in IWI’s current lineup, and the US variants are using SR-25 magazines instead of the original Galil modified-M1A magazines (pictured above). I am given to understand that Kassnar was responsible for pushing these changes through. It will be very interesting to see if these US variants flow back to IWI’s line. Finally, in Q1 of 2016, we’ll see the ACE N 21, 22, and 23 rifles and pistols hit our shores. No details on these yet, but pricing will presumably be in line with the ACE 3X series. There has been informal confirmation that there are no plans to release the ACE 2X line that takes Galil mags in the US, which is not surprising given the decision made with the 7.62×51 guns. The whole ACE line-up is just excellent, and will provide many opportunities for SBRs, too. Well-done, IWI! Alright, a bit of price analysis on my part. It seems as if the IWI street price is targeted at about 80% of MSRP. So, we’re talking $880 for the Uzi Pro Pistol, $1525 for the ACE 32 rifle, and $1700 for the ACE 52. The Uzi Pistol Pro is priced high. No other way to say it. If it were a quick and easy SBR project via a lower swap, I could buy into a $900 SBR starter gun, but I’m not seeing that being presented. Perhaps IWI-US thinks there’s an undiscovered market for “heavy expensive pistols that take Colt mags”. I can see that appeal, I guess… cheaper than an Action Arms Uzi Pistol. The ACE 32 is more in the ballpark, but still exceeds the cost of an Arsenal SAM7-SF significantly. What IWI-US needs to do is communicate the value-add that the Galil ACE brings. Things like night sights, optics rails, quad rails, handguard covers, collapsible stocks, and so on provide very substantial value. The ACE 52 is very well-priced, and is comparable to the Sig 716. 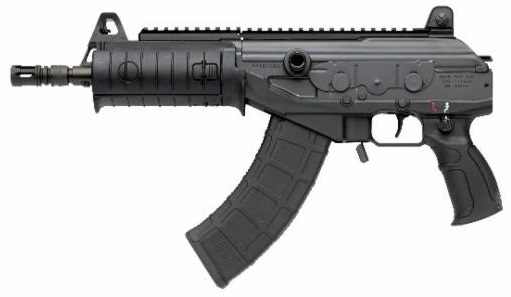 I think this will be the easiest sell of all the Galil ACE rifles, especially since the weight is similar to AR-10s and the big 3 battle rifles. UPDATE (12/30/2014): The Uzi Pro pistol will, in fact, have a brace option, so it appears that its viability as an SBR host is much better now. Further, as I mentioned in another post, IWI-US is also importing the Jericho line of pistols. Short of re-introducing the Galil Sniper in ACE format, or doing a semi-auto Negev, they’ll have the entire IWI product line, except for the X95, in the US by 2015. Nice to see all of the data on one page. Hey, couldn’t have done it without you. You guys have always had the best inside info on IWI’s plans. Much appreciated!